The Youth Job Fair will be held on May 1 - it's for youth aged 16-24! 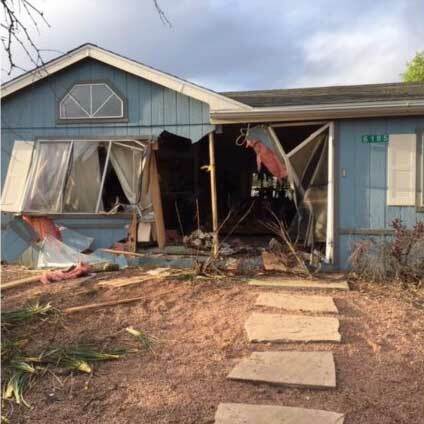 Driver crashes car into house while allegedly under the influence. Prescott Valley Police are reporting a card skimmer found at a Circle K location. According to one witness, the operator of the motorcycle was traveling southbound at approximately 50 miles per hour when he collided with the driver of the ATV. You might not have known this, but the Elks Theatre is much more than a stage for plays and movies. It is a genuine Performing Arts Center, complete with dance studios, ballrooms, and sound studios. Join us as we take an audio tour of the full facilities with Steven Kartstein and Trevor Odom! Patrick DeHaan says that gas prices have risen for 2 months straight, for about 50¢ per gallon more than back in early January. The Quad Cities Business Beat crew of Lynette and Zach Hoyt plus San Martin Rodriguez takes a road trip to Third Shot Coffee Shop to meet with Josiah Schulze of Third Shot Coffee. Listen in to find out what coffee has to do with pickle ball and a whole lot more! Starting in March Prescott Valley Police Officers began issuing tickets for any violation of this new law. Officer issued more than 35 citations in the first three weeks of enforcement. According to Officer Fuller, there is an increase of fraud schemes in Prescott. A Fraud and Scams Prevention prevention will take place on April 24th.